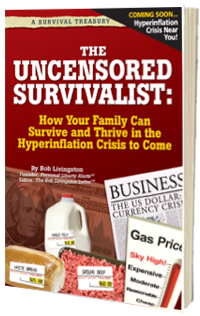 Like the first cold winds of fall that signal summer is over, those who recognize the signs of hyperinflation know that a frigid, economic winter is ahead. And most importantly — they know that the time to prepare is NOW. How to guarantee you have unlimited access to the food, medical care, medicines and supplies you need to live comfortably, NO MATTER WHAT HAPPENS outside your doors!